Boston,MA: A proposed settlement has been reached with AstraZeneca Pharmaceuticals LP ("AstraZeneca"), the maker of Nexium®, in a consumer fraud class action lawsuit pending in Suffolk County Superior Court in the Commonwealth of Massachusetts ("Lawsuit") : Commonwealth Care Alliance, et al. vs. AstraZeneca Pharmaceuticals L.P., et al., Case No. 05-0269 BLS. The Lawsuit claims that AstraZeneca deceptively marketed Nexium®. AstraZeneca denies any wrongdoing and has consistently maintained that Nexium® is supported by strong clinical studies, and that the promotion of Nexium® has always been truthful, balanced, and fair. Although the Court has not ruled on the merits of the Plaintiffs' claims, the parties have agreed to settle this Lawsuit. Based on Class Counsel' extensive investigation of the facts and the law relevant to the Lawsuit, the Plaintiffs and Class Counsel have concluded that the settlement with AstraZeneca is in the best interests of the settlement Class. The proposed Settlement is not an admission of wrongdoing or an indication that any law was violated. AstraZeneca will pay $20 million to settle the Plaintiffs' claims in the Settlement. After deducting certain amounts, including amounts approved by the Court for the settlement notice and claims administration, payment of attorneys' fees, reimbursement of Plaintiffs' litigation expenses, and service awards to settlement Class Representatives, the net fund will be distributed in cash to settlement Class members who submit valid claims. If Class members' claims exceed the amount available, payments will be reduced on a proportional basis so that all valid claims can be paid. If there is any money left after paying all valid claims, the excess funds will be distributed as cy pres payments to charities agreed to by the parties and approved by the Court. Generally, you are a member of the settlement Class if you are a person or entity who, during the period from March 1, 2001, through February 6, 2013: (a) purchased Nexium® in or from Massachusetts, or (b) reimbursed or paid for Nexium® dispensed in Massachusetts, or (c) reimbursed or paid for Nexium® purchased by mail order from Massachusetts. You are not a member of the settlement Class if you are a government entity (except for government-funded employee benefit funds), you purchased Nexium® for purposes of resale (but solely to the extent of such purchases for purposes of resale), or you are the Judge assigned to this action and any member of the Judge' immediate family. The settlement Class includes both consumers and entities, known as "Third-Party Payors,"that purchased, reimbursed, or paid for Nexium®. 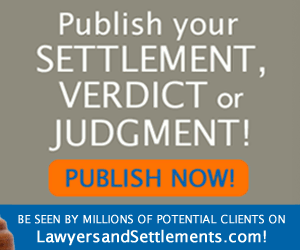 To qualify for payment from the Settlement, you must timely submit a completed Claim Form. Claim Forms must be postmarked, faxed, sent electronically in PDF format, or submitted online by August 30, 2013. 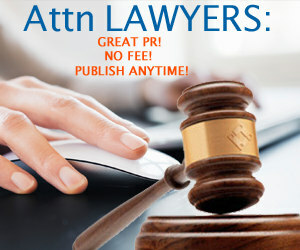 If you have comments about, or objections to, any aspect of the Settlement, including the requested attorneys' fees or service awards, you may express your views to the Court. Refer to the Full Notice for more information on how to express your views to the Court. If you do nothing, you will not receive a payment from the Settlement, and you won't be able to start a lawsuit, continue with a lawsuit, or be part of any other lawsuit against AstraZeneca about the legal issues in the Lawsuit. The Court will hold a Fairness Hearing in Boston, Massachusetts on July 13, 2013. The hearing may be moved to a different date or time, so check this website for updated information. I have been on Nexium for at least nearly 10 years.and the kidney doctor has given me all kinds of tests but cant understand why my I m still in kidney failure I have been most of 2016. my kidney doctor said I may have to go on Dialysis at any time I have been in the hospital about 5 times in this year because of kidney failure. I am a victim of nexium also. I took it everyday for 7 years and started breAKING BONES FOR NO APARENT REASON. i TRHINK ALL TOGETHER I FRACTURED 10 BONES. Never knew how the fractures happened, just started hurting, thought i had a pulled groin and a spider bite on my foot,WRONG, Turns out i had a fractured foot and a fractured hip. I was in so much pain, til i finally ask my Dr, to either put me on stronger meds or do an MRI. I dids the MRI and found out my hip was fractured, ended up having hip surgery in July 2011 In Nov.2011 4 months later i tripped on a throw rug on carpet and had a compound fracture of my left femur. horrible pain and of corse surgery and rehab for 3 weeks. That was the only bone i fractured that i knew what happened, but my surgeon said that should have not cause that bad of a injury, those are the kind you see in auto recks. I had both feet fractured,both ankles fractured 1 rib broke, and pelvis. those didnot happen when i broke my femur different times but have no idea how any of them happened except the femur. I had same foot fracture AGAIN AND SAME ANKLE FRACTURE TWICE. PEOPLE PLEASE LISTEN BEFORE IT IS TO LATE. Unfortunately your story is not uncommon. I can be of help if you like. Feel free to email me and I will share some info that I have. Is kidney cancer addressed in this litigation? Oh my gosh Mr Moynihan! What a horrific story!!! Thank God that EMT did his job & asked a pertinent question, that probably saved your life. I've been on Nexium for about 10 years now and my doctor has never told me to stop them!! I'm wondering if she even knows? Are pharmaceutical companies mandated to tell Drs who push their medication, thst something as serious as kidney failure is a possible side effect & that the time taking Nexium should not exceed a certain amount of time? Isn't the FDA suppose to "protect" us against villainous Pharmaceutical Compamies? I just heard today on the morning news that Astra Zenica has increased the price of Nexium, over 100%!!!!! Is this because the want to get the most that they can out of it before it's banned? This is ABSOLUTELY CRIMMINAL! There are such sinister, evil & greedy people at the head of Astra Zeneca,et al. How do they sleep. Innocent people are dying because they trusted their doctor!! But that Dr is in bed with the pharmaceutical companies! Such a travesty! Shame on them all. I had been on proton inhibitors for 24 years. During that time I constantly had what doctors told me, was major anxiety attacks. I went to neurologist after neurologist j Dr. after Dr. specialist after specialist, pet scans cat scans. Meanwhile, losing consciousness a few times a day had become the norm for me, I could feel it coming on and usually had 60 seconds to five minutes to prepare. My energy levels were in the toilet. Until I suffered a heart attack at 47. Still complaining of the same stuff after surgery stints , they left me on proton inhibitors while I was in the hospital. I was describes several times of having mental problems. Meanwhile, The grub companies knew that the side effects were adding up people were on it for long periods of time. My doctors didn't know, the neurologist now, they all looked at me like you're crazy. The psychiatrists had me up to 16 mg a day of Xanax for over six years to control the seizures and Tremors . One diced me that it was early Parkinson's disease. Another prescribed requit. The psychiatrist said more Xanax, or antidepressants. In December 2014 during a cardiologist exam. They said that my arteries looked very clear and all was well, two months later I collapsed on my front lawn. My wife, who's in the hospital business, told them to go in and look again. The doctor revised that it may not be covered by insurance because they had been into months ago and there was nothing there. Three minutes into the scoping, they stopped. My main coronary artery he was 99% blocked and I needed open heart surgery immediately . I could not recover from the bypass, I had gone into the 190 pounds and six months later was 118 pounds . No one, help me at all. Finally, while suffering with seizures for an entire day, my wife called the ambulance again. I had given up, we both had made my funeral arrangements, we had my policies are bills everything we need to do in life Prepaired for my exit . The EMS gentleman who sold me seizing, not being able to control my eyes, having no sense of upper or down , asked if I was on any kind of proton inhibitor ! I said yes, I had been on Nexium for 24 years. They finally took two dollar magnesium test, that showed I had next to none in my system, the proton inhibitors had wiped it out of my system along with my calcium. It only makes sense that when you shut off a proton inhibitor , The acid in your stomach for digestion, you shut off the absorption of nutrients, I was dehydrated, I had hypocalcemia, hypo magnesium, and My Duadnum was bleeding and had a large hole . The records are now indicating all kinds of people suffering from all kinds of side effects of proton inhibitors. They have now put it over the counter with a warning label to not use for more than 10 days at a low low dosage . Not what I had been prescribed for 24 years ! If you were on a proton inhibitor, get off. They are not telling people the truth about this drug . There have been several warnings from the FDA over the last few years that get stronger and stronger. Two weeks ago New York Times had an article that listed all the symptoms I had complained of over 22 or three years. It is obvious to me that the drug companies are trying to keep this very profitable drug alive and reputable. This drug almost killed me several times during my life, you would think they would put out an all points bulletin or after the first several deaths . But no , they grip the main piece by piece, it might do this, six months later it might do that, six months later another warning, they've been doing this for seven years and none of the doctors know about it ?????? It is a very dangerous drug. I will never take another prescribed drug for as long as I live. My opinion of doctors has fallen tremendously, I think they do great work but I think that the pharmaceutical companies have them put their heads in the sand. 19 months after my open heart surgery and seven months after my end of proton inhibitors, anti-cholesterol drugs, antiplatelet drugs, 16 mg of Xanax a day . I am on a baby aspirin and take magnesium three times a day to subsidize my level that is now destroyed. My cholesterol is much lower, my energy level is slowly but sure we coming back, I mean slowly. Will never go on your pharmaceutical again!!! I have been on Nexium for years and I got out of bed and my bone in my left leg broke!